Today I went to Wazi’s Rug Shop to pick up a gift that talented artists Sabah Selou Wazi made for me. 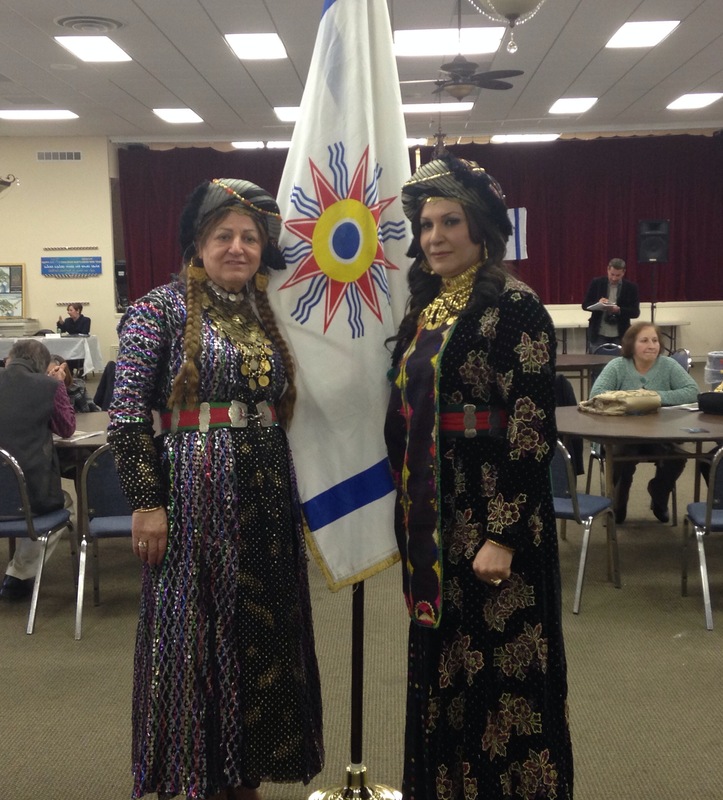 Sabah is one of sixteen artists I interviewed for my upcoming book, Iraqi Americans: The Lives of the Artists. Because the shop is only a few blocks from my house, I mostly interviewed Sabah at his shop. Each time I go into the shop, I feel I’m entering a small museum. Sabah has a studio in the back of the and his artwork is displayed in various corners in the front. Being surrounded by Babylonian and Sumerian artwork makes you want to wander around, and basically, not leave. When visitors admire his work, Sabah takes the opportunity to introduce and educate them to the rich history and culture of Mesopotamia. Doing so has become dearer to him since the horrific attempts to destroy Iraq’s heritage. About a month ago, Sabah told me that he made clay tablets with cuneiform writing, replicas of those made during ancient Babylonian and Sumerian times. He passed them out for free during the opening of the Keys Grace Academy in Madison Heights. Grace Academy is the first Chaldean charter school in the United States. He told me he would make some tablets for me and my family. 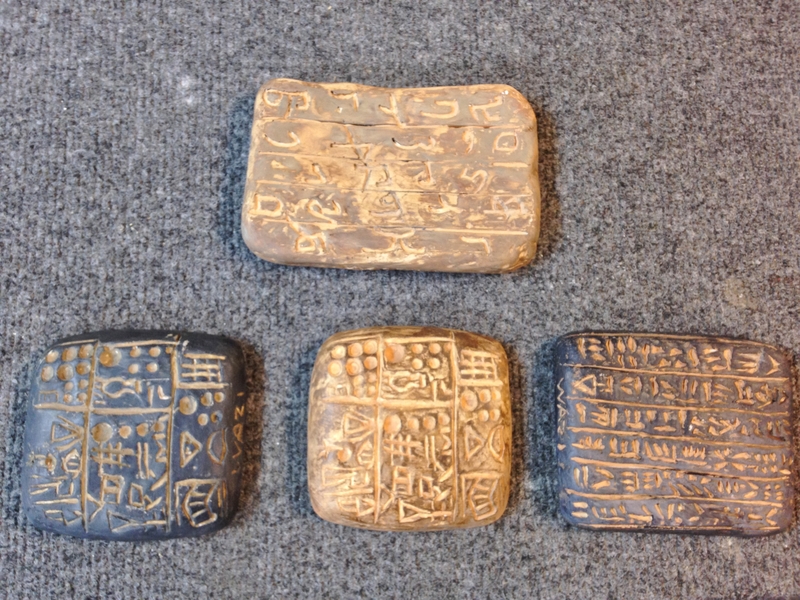 Today I picked up these four tablets. Aside from being impressed by the detail of his work, so many feelings went through me as I held the stones that resemble those made thousands of years ago by my ancestors, who invented the first writing system. There was a mixture of awe and wonder, a real closeness to my birth country, but also a little sadness to what has happened to that land. By the time I returned home, the sadness was gone and all that was left was joy – joy at having a number of real talented artists live in my neighborhood and doing their part in keeping the memory of the Cradle of Civilization alive.